Next review Bookvip - Don't Do It!! Easy as 1, 2, 3, Bookvip. We saved over $500! My girlfriend and I visited Cancun and stayed at Krystal Cancun for a weekend. We had no problem checking in, front desk was very informative, or out, the staff was generous enough to let us stay in our room for a couple more hours as we waited for our flight. The hotel's access to the beach and pool area was very nice. The staff working at all the bars and restaurant were super nice and attentive. Juan Manuel Costa was our server on one of the nights we went to Las Velas, the hotel's restaurant, and he was amazing and made our dinner very special. We got Alfredo and Salmon dishes which were delicious! Compliments to the chef for those. 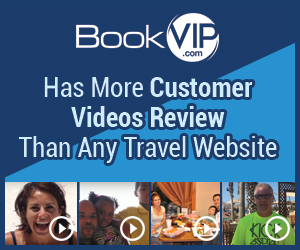 Product or Service Mentioned: Bookvip Krystal Cancun Vacation Ownership. Review #1360614 is a subjective opinion of testimonial.